Love Gin, Prosecco & Cocktails? You'll love our new range! Love Gin, Prosecco & Cocktails? You’ll love our new range! 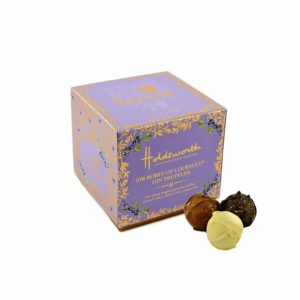 If you’re looking for the perfect treat to enjoy on the sofa as the nights begin to draw in, look no further than our fabulous new range of delicious boozy truffles. Based on much-loved alcoholic drinks and cocktails, the decadent collection of tempting treats has been introduced for autumn, and is set to delight taste buds nationwide. For cocktail lovers, our incredible Espresso Martini Cocktail Truffles (£8 for 115g) are the perfect delicacy. 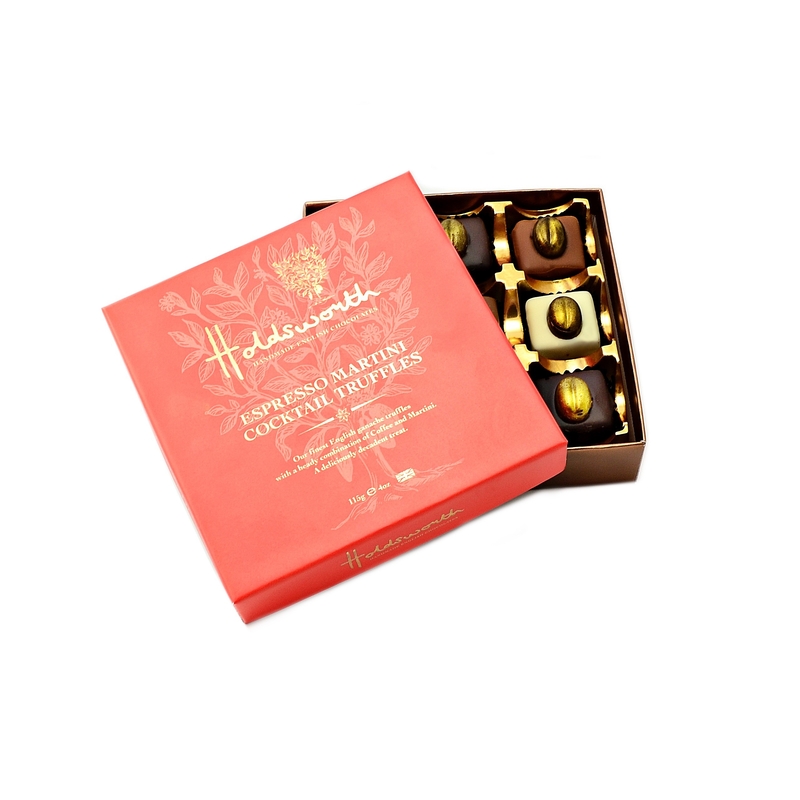 The luxurious assortment of milk, white and dark ganache truffles have been combined with the finest aromatic coffee, a dash of martini and topped with golden dark chocolate coffee beans. Sophisticated and sensational! If you LOVE gin, the new Sir Robin of Locksley Assorted Gin Truffles (£8.00 for 100g) are for you. We have teamed up with an artisan gin company from over the moors in Sheffield, South Yorkshire to create an absolute taste sensation. Our finest ganache truffles have been infused with the delicious Sir Robin of Locksley gin, and a blend of traditional botanicals with delicate infusions of elderflower, dandelion and pink grapefruit. Different, yet delicious. 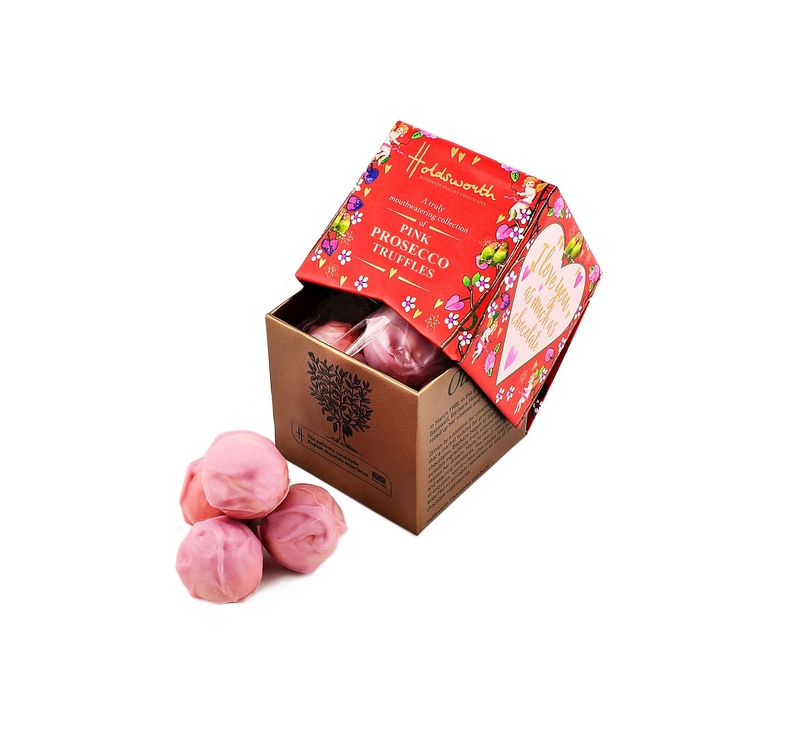 Finally, we have introduced a pretty little box of Pink Prosecco Truffles (£5 for 55g). The gorgeous pastel-pink chocolates are flavoured with delicate Prosecco for a fabulous treat. They also make a gorgeous gift or stocking filler for Christmas for the discerning chocolate lover. Cheers! Genevieve Holdsworth commented: “Beautifully boozy truffles are hugely on trend at present, but we wanted to make sure we produced some timelessly delicious products that will be enjoyed for many years to come. I’m especially proud of our partnership with Sir Robin of Locksley Gin, as it’s fantastic to support fellow artisan producers, especially local ones.